Born and raised in New Delhi, India, educated in the very best Catholic convent schools, a Philosophy major from Lady Sri Ram College, Mira Sai’s vacation to New York in 1973 turned into a permanent move when she became the CEO of her own large scale wholesale business in New York City, USA, at the young age of 23 years, manufacturing and importing her own label of designer clothing from India for major U.S. retail stores. She later moved to California and practiced as a very successful Financial Advisor, designing financial portfolios including the formation of Wills and Trusts, and receiving numerous awards every year. During this time, Ms. Sai known as Arti Gupta, served on the Board of Trustees at Fremont Temple of California for four years. She also served as Vice-President of the Nargis Dutt Cancer Foundation, organizing fundraisers with her team and sending medical equipment for cancer patients to hospitals in India. Well-known and highly respected in the Bay area and very often invited as Guest of Honor at public Indian functions, Ms. Sai was periodically in the news in the local Indian newspaper and TV channel. Having gained the ultimate experience of oneness with Supreme Consciousness while she was on the ‘Other Side’, the impermanence of the ‘Life Movie’ and the permanence of the Screen it was being played on… became experientially clear! It was very natural for her to then walk away from the impermanence of her wealthy, luxurious lifestyle to the only abode of peace she knew. The ashram of Sri Sathya Sai Baba, her spiritual master in Puttaparthi, India, where she stayed for five years, delving deeper into her bliss filled self with the grace of Sai Baba on her and at which time He conferred on her the name Mira Sai. 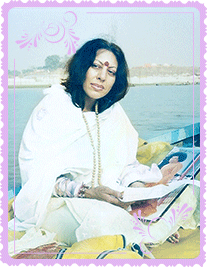 Returning to California in 2001, Ms. Sai went on to do further studies in Child Developmental Psycho-Pathology at Stanford University, California and also completed World Religion studies in Ojai, California where she was ordained as an Ecumenical spiritual minister, conferring on her the title ‘Reverend’. At this time, she was also practicing as a very successful Realtor in N. California. In 2007 she became the Founder-CEO of a Non-profit Charitable Org in California, the Sai Humanitarian Institute of Learning & Healing/The Sai Foundation, and opened a multi-faith sanctuary temple in San Jose. Filled with healing and divine vibrations, it became popularly known as the ‘kalpavriksham’ (wish-fulfilling tree), fulfilling the prayers of the hundreds who came there. A mystic, living in meditative divine consciousness, Ms. Sai has been graced to take many journeys into the Himalayas at highly sacred places like Kailash Manasarovar, Muktinath, Badrinath, Kedarnath, etc., bathing in almost a dozen freezing holy rivers. Meditating in powerful caves in the Himalayas, like Ved Vyasa gufa (cave), Vashishta gufa, Adi Shankracharya’s Samadhi (tomb) etc., Mt. Shasta in California and many Buddhist monasteries including a monastery-cave in Thailand, sitting beside a 1000 year old mummified body of a monk, she has had many rare experiences. A philanthropist at heart, living to Help Ever Hurt Never and Love All Serve All, she is in the process of building a world-class professional recording studio for the furtherance of the spiritual teachings of Sai Baba, for the benefit of mankind. She has also been graced to install an RO Industrial Drinking Water plant for villagers who were in dire need and which delivers almost 12,000 liters of RO water per day. She has personally narrated and produced two professional Audio books of Bhagawan Sri Sathya Sai Baba’s books on ‘Vidya Vahini’ and ‘Geetha Vahini’ and an audio CD of devotional songs called Sai Ananda. She also paints and writes and has currently published her first book, “Enstasy – Standing Inside Oneself” which contains revelations of the Truths received by her while she was on the ‘other side’ and her experiential meditations upon her return, written in the form of Mystical Poetry. This book Enstasy is also available as an eBook and a beautifully rendered Music CD Album with poem narration. She is currently working on her next few books and developing a new branch in her non-profit organization called, “The Next Step – After Life”. Ms. Mira Sai is also the Country Committee Chairperson USA – For Empowering Self, in the ALL Ladies League (ALL) Organization, the world’s largest All-inclusive international women’s chamber and a movement for the Welfare, Wealth, and Well-being of ALL. In the last 40 odd years, with the grace of her spiritual master Sai Baba, Ms. Sai has gained a wealth of experience in many varied areas, replete with the many trials and tribulations, the highs and the lows, gains and losses, along with fame, fortune and wealth, which brought forth monumental courage and hidden strengths, culminating in the death accident, bringing with it… Realization of the non-permanence of it all… and the Truth of her own reality and the reality of all of Existence: which she sums up in one word… LOVE. @2015 by Mira Sai. All Rights Reserved.